The problem of taking property tax advice is you just do not know if the knowledge of the person you are consulting is any good. Tax law changes quickly – certainly with each budget and often two or three times a year as the result of tax cases before tribunals and the courts. Here are some of the most common property tax information sources – and the risks involved with taking their advice. Accountants and tax advisers should have a good knowledge of the law – but… and it’s a big but…they are often slow with catching up. Think of accountants as doctors. A high street or city centre accountant is like your GP. You go to your GP with general complaints and basic treatments. He or she has a broad medical knowledge, but if you have anything other than a run-of-the-mill ailment, you are sent to a consultant with a specialist knowledge of the complaint. 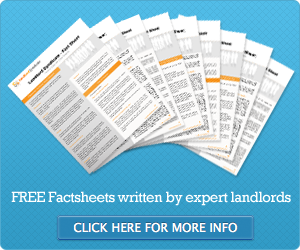 Forums – beware of helpful, well-meaning advisers doling out tax advice on landlord forums. Much is out-of-date or just plain wrong. Think of forums as a place for opinions or somewhere to kick start further research. Stickability is a problem for the web – someone can offer an answer to a question in 2008, but the law changed in 2009, 2010 and 2011 and that response just does not apply any more. Check publication and revision dates before following the advice. Commercial web sites – any site pushing ‘cheap’ property, software or seminars has a vested interest and can offer a slant towards their product or service. Beware if someone wants you to pay to access information you can find for free elsewhere. Instant millionaire, property secrets, landlord seminars and other catchy marketing techniques are aiming to part a property investor from their money. If these schemes work, the people running them would make more money from property deals than seminars – they aren’t. If they have deals, they are probably keeping the best for them and passing second-rate packages on to their ‘investors’. Get rich quick doesn’t work if you have to pay a fee. Regardless of the risks, not every source of property tax information should be rubbished. Sorting the nuggets from the rubbish is not easy some times, but many genuine, knowledgeable and helpful landlords, lawyers and developers are keen to pass on sound advice – just remember to check out the details before following their tips.